Hi everyone, happy Tuesday morning! What plans have you got for today? 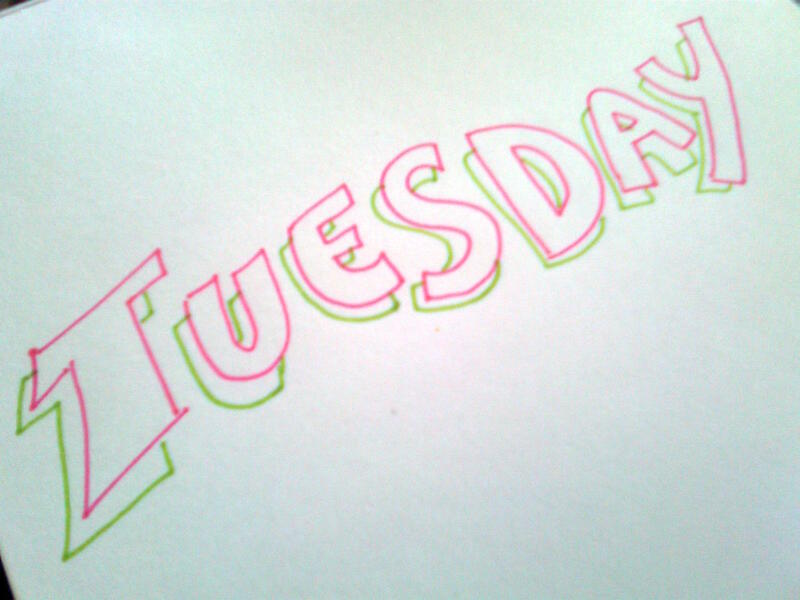 Tuesday is really not the most popular day of the week. There’s not a lot to remember it by. Reasons like, it’s not a weekend, It’s not the first day of the week nor is it the last, its not even the middle. It’s a working day…, a school day…, for some, it’s a day when they could not drive to Makati because of MMDA’s coding scheme. For most it’s just Tuesday. But really if you think about it, some people can get a lot done on Tuesdays. Monday is usually crazy (and lazy)… it is when you would normally organize the week ahead. Normally, it’s when people wrap up unfinished tasks of the previous Friday and it’s the day people would list down (mental or literal) their to-do’s for the week. So by the time it’s Tuesday, people are supposed to be more relaxed and proceed with their day with a bit of direction. Our Tuesdays are supposed to be made clean for us by our Mondays. So technically, we can get a lot of things done! Now let’s see… What have i got to do today?
) Go to the bank.
) Check my online stores and see how many pageviews i have :). Go through the products and see what else I can add.
) Check my emails and respond accordingly.
) Check the kid’s homework.
) I normally do my crafting in between these tasks. Is that busy enough? This is how my Tuesday looks like (today). How about yours?